It isn’t hard to see the tree. Apart from a skinny papaya trunk stretching about three quarters its height, it’s the only thing rising from the sea of green that surrounds us in all directions. We’re driving in a plantation run by the Indonesian oil-palm conglomerate Golden Veroleum, and for miles around there’s nothing growing but baby palms, shrubby-looking things whose lime fronds stretch out about as wide, some three feet or so, as they reach high. You’d never guess it from the destruction we’re witnessing—in the early-morning fog, the thousands of trees felled to make way for the palms evoke fallen soldiers on a still-smoking battlefield—but the company has been in operation here in southwestern Liberia for just shy of 13 months. The 643,000-acre lease it signed with President Ellen Johnson Sirleaf’s government is for 65 years, with an option for a 33-year extension, so Golden Veroleum Liberia, or GVL, is just getting started. And the company isn’t alone. Up in the northern part of the country, the Malaysian corporation Sime Darby has a similar operation underway on 899,000 acres; it signed its 63-year lease in 2009. 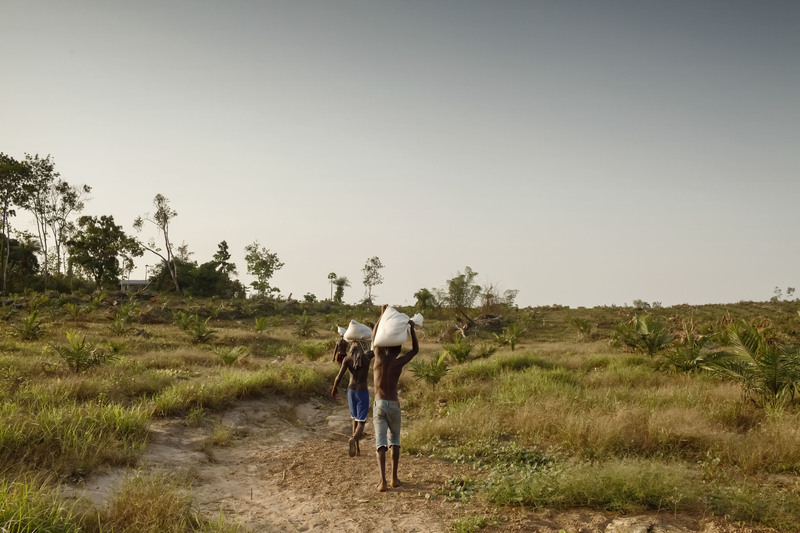 In the last five years, in fact, 30 percent of the land in this small West African country has been signed over to one large-scale concession or another. And countries across sub-Saharan Africa bear similar statistics. According to the World Bank, the continent is home to fully half the world’s fertile yet “unused” land, and in the wake of the food crisis of 2008, multinational corporations, land-poor countries, hedge funds, and private investors have been buying up huge swathes of that rich acreage from governments eager for foreign cash. The International Land Coalition estimates that as of last year no fewer than 330 million acres of African land had changed hands. Acquisitions in just four countries—Liberia, Ethiopia, Sudan, and Mozambique—totaled an area the size of Louisiana. The ventures involve most of your basic food and feed crops (whether for animal or vehicle), including wheat, rice, sugar, and jatropha, but much of the activity centers on oil palm. The trees are actually native to central Africa; a century ago, British siblings William and James Lever, whose company would become Unilever, ran a 17-million-acre palm concession in the Belgian Congo. Over the past several decades, however, planting has focused on Asia. Malaysia and Indonesia together account for 85 percent of global production, but as that volume approaches 50 million tons a year (today the oil is in one of every three supermarket products, from lipsticks and body lotions to chocolate bars and donuts), producers are scrambling to find new frontiers. Imports of palm oil to the United States alone have increased 485 percent in the last decade. Which partly explains why you’ll also find massive new plantings in or slated for Uganda, Congo, Ivory Coast, Gabon, the Democratic Republic of Congo, Benin, Sao Tome, Angola, Nigeria, Tanzania, Sierra Leone, Ghana, and Cameroon. It’s not going terribly well in this corner of the continent. After an eight-hour drive from Monrovia, the Liberian capital, I’ve arrived in Sinoe County, the site of the GVL concession, along with Krakue and his colleague Ashoka Mupta, to find out why not. The two are researchers for the Sustainable Development Initiative, or SDI, a local partner of Friends of the Earth, and they were kind enough to accompany me down here in one of the organization’s sturdy 4×4’s; a good thing, since the average car wouldn’t have had a chance on the cratered excuse for a road that we had to brave to get here. In a village called Pluoh, a scattering of mud and thatch homes located inside the plantation, Benedict Menewah, a scrawny father of seven, fills me in on the details surrounding that lone coconut tree. Dressed in a stretched-out t-shirt and what appear to be beige pants but on closer inspection turn out to be impossibly filthy blue jeans, the 50-year-old describes how the company showed up with its Caterpillars and proceeded to raze the entire village he’d grown up in, and where his father was still living. Klah’s Town was among the numerous outposts known as “old towns,” settlements that were mostly abandoned during this country’s brutal 14-year civil war. “We had rubber all toward that big tree,” Smart says, gesturing in the distance. “There were oranges over there. Cocoa there, plantains there.” The company gave him a single payment of $340, but Menewah says they were making $85 a year just from the oranges, and they’d generally sell a dozen bags of cocoa at $80 apiece. Smart, who, at 74, has stooped shoulders and cloudy blue eyes, is particularly broken up about the two breadfruit trees that his grand uncle brought back from Ghana in 1922 and which, along with bushmeat and “palm cabbage” (finely chopped, tender young palm leaves), were responsible for keeping the family alive during the long years of fighting. “We lost our auntie, our uncle, our nephew, our niece,” Menewah says, opening his arms to show me the horizontal scars from where the combatants had tied him up. The coconut tree had apparently been left, along with the papaya next to it, as a courtesy when the company bulldozed everything else around the graves of Smart’s father and uncle. Those two had been prominent enough to have gotten actual cement slabs, which GVL encircled with a rickety wooden fence; the rest of the village’s deceased—and whatever was still left aboveground of Klah’s Town—are today lost beneath the palms. Whenever Menewah or Smart goes to brush around the stones to tidy up the way they used to, “the company says we are damaging their property.” Now overgrown with weeds, the little outpost sits there marooned with its lone palm tree, like a cartoon rendering of a deserted isle. “What I’ve lost is plenty,” Klah continues, her voice beginning to break. “We can’t plant plantains. We can’t plant rice. We can’t plant peppers. When I think of it, my heart hurts.” She reaches for a little rag she’s got resting on her shoulder and uses it to wipe away her tears. You hear similar stories up in Grand Cape Mount County, where Sime Darby, responsible for six percent of the world’s crude palm oil, began planting in 2011. We drive out early from Monrovia one morning, exchanging the smells of diesel and burning garbage for the eventual perfume of wood smoke and citronelle. But the visuals are far less comforting. Once inside the concession, we find ourselves navigating an endless maze of terraced rows of young palm. Only along the edges, by the road, can you make out native African bush. “Everything is the same!” sighs Krakue, when we realize we’ve made yet another wrong turn. (He looks like a kid and wears an expression of permanent bemusement, but the 32-year-old Monrovian has an answer for every question I pose, whether related to Liberian history or to the gossip surrounding a local celebrity.) A flatbed truck approaches from the other direction and makes a turn in front of us, and we marvel at the way the plantation workers crammed in the back of it manage to stand upright, like commuters in a packed subway car, despite having nothing to hold onto. The truck bumps along the rutted dirt road, its human mass bobbing along in unison, leaving a cloud of orange dust in its wake. Clarence Dennis, a 30-year-old who works slashing grass for Sime Darby, says he gets neither food nor water on the job. “Every day my back is bent down. I cannot continue to work for 63 years.” Nor are there any toilets for the employees. 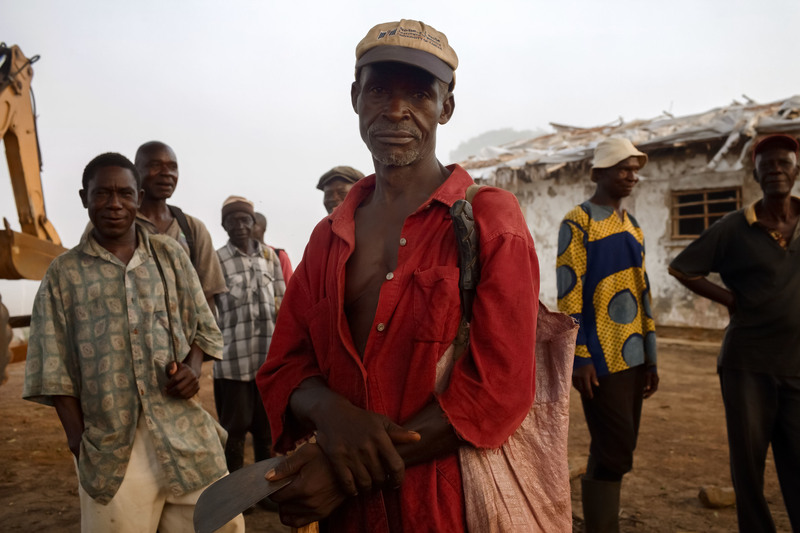 “You just ease yourself right there,” he says, “it’s too far to walk to the bush.” In his mud hut, where there are literally piles of dirt on the floor, Dennis shows me his knee-high rubber boots. “The bottom was flapping,” he says, pointing out where a section of one had ripped away. He went to his manager to ask about a replacement but was told that after the initial pair, the workers were on their own. Other parts of the boots have been patched up with little pieces of rubber salvaged from an old car tire. “Come there tomorrow,” Dennis urges; he wants me to see how half the guys are working in “slippers,” or plastic flip-flops. “They are not doing one good thing,” a reedy 36-year-old named Jackson Brown tells me when asked about the Malaysian newcomers. “Let them go back to where they came from.” Brown says the company left nowhere for the villagers of Gbah Town to grow their food. In fact, you can see the low-slung palm fronds peeking through behind the mango and banana trees on the edges of the clearing of huts. Brown, who works for the concession, was given $50 for the five acres where he’d been growing cassava. 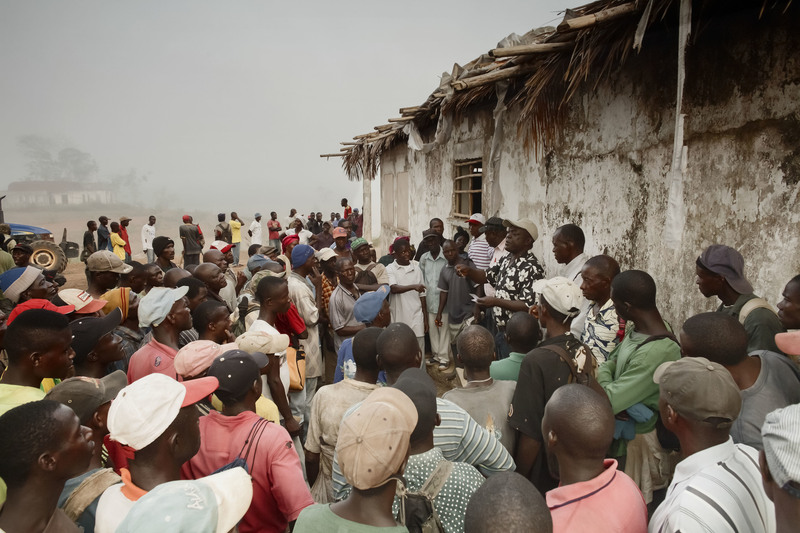 His brother Foday says that the company polluted the stream where the community used to get its water. “Since 2010, we stopped drinking there. It tasted like chemicals.” Now the villagers use it only for washing clothes. Also destroyed was the swamp area where the women would source thatch for roofing and for crafting baskets. “Sime Darby came and messed up everything here,” Foday says. “The guy who was a respected farmer has now become a slave laborer,” Brownell tells me. “These are people who would get up early and go to their farms, who had access to other sources of income. Today they have to do the job that a donkey would do.” The lack of local farmers means that food now has to be brought in from elsewhere, at a much higher cost. 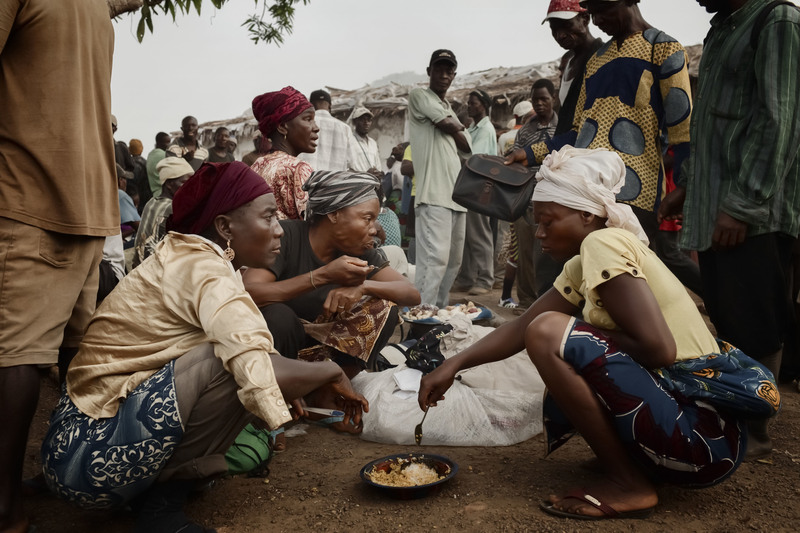 It puts a further strain on a society already plagued by hunger, and where the displacement of people to other areas runs the danger of sparking the kind of ethnic conflicts that have flared in Liberia in the past. Not that the companies are having an easy time of it. Arriving at the GVL concession early one morning, we park the car near the administration building in order to check in with plantation manager Jeff Benzin. A youthful Malaysian with a buzz cut and a pair of sunglasses perched on his head, he eventually emerges from the two-story wooden structure—painted, like everything else here, yellow with green trim—wearing a GVL t-shirt and khaki shorts. He’s not at all happy to see us. Why didn’t we ask to come at this time of day, he wants to know, and with our cameras in tow? (In fact, I had emailed the director of the company, Matt Karinen, a few days earlier, but had gotten no response.) When I suggest that we’d been anticipating a somewhat warmer reception, the visibly beleaguered 47-year-old recognizes the potential PR flub and invites us upstairs for coffee and toast. Seated in a low-ceilinged room amid air thick with the smells of fish sauce and stale smoke, Benzin ashes one Marlboro Light after another into an empty tomato can and apologizes for his rudeness, explaining that the company has been getting some seriously bad press. 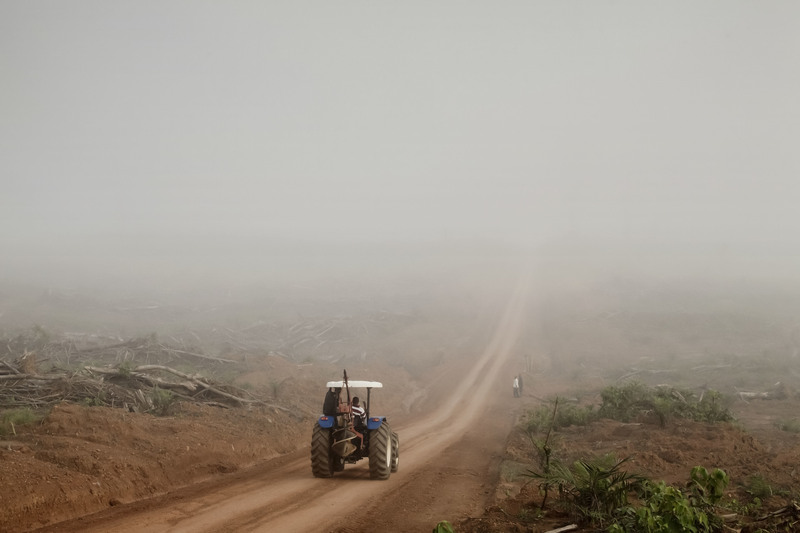 In October 2011, with the help of SDI and Brownell’s Green Advocates, communities in Grand Cape Mount County filed a complaint with the Roundtable on Sustainable Palm Oil (RSPO), the global certification body for the industry, alleging various rights abuses committed by Sime Darby, including the destruction of crops and gravesites, the pollution of streams, the forceful displacement of people without adequate compensation, and the failure of the company to get free, prior, and informed consent (FPIC) from the locals before clearing their land. A year later, the community in Sinoe filed its own RSPO complaint, suggesting similar abuses at the hands of GVL. Certainly the place could use some help. The war trashed what little infrastructure there once was, and 85 percent of the population is currently without a job. By far the most common sight on the country’s few paved roads are the white Nissan 4x4s driven by the 15,000 United Nations military personnel, here since 2003 and charged with keeping the peace. The latest update of the UN’s Human Development Index ranked Liberia number 182 out of 187 countries. “Large-scale agricultural investments,” Dagenhart tells me, are believed “by the World Bank and other international organizations to be the most efficient way of eradicating poverty.” Given that the Poland native worked for the Bank’s International Finance Corporation for nearly 20 years, it’s not surprising that Dagenhart would look to that institution for legitimacy, but the fact is there are plenty of people who blame the Bank, along with the World Trade Organization, for having created the environment that enabled large-scale land acquisitions—or “land grabs”—to happen in the first place. Back in the eighties and nineties, they advised developing countries to cut their investments in agriculture and to open their borders to food imports. World Bank investment in agriculture has reportedly tripled in the last decade, leading the advocacy organization Oxfam to call on it last October to halt all investments in the sector, at least until stronger oversight policies could be put in place. (The Bank declined to acquiesce.) Since 2008, local communities have brought 21 formal complaints against World Bank–funded projects that they say have violated their rights. Dagenhart subscribes not only to the big-ag-is-better World Bank orthodoxy but also to the notion that palm oil will be key to feeding the world. He calls it “a golden crop,” pointing out that it is cheaper than any other vegetable oil and that its yield is double that of soy and three times that of jatropha. “A growing population can’t feed itself without vegetable oils,” he says, and by going with palm oil you’ll be clearing that much less land. 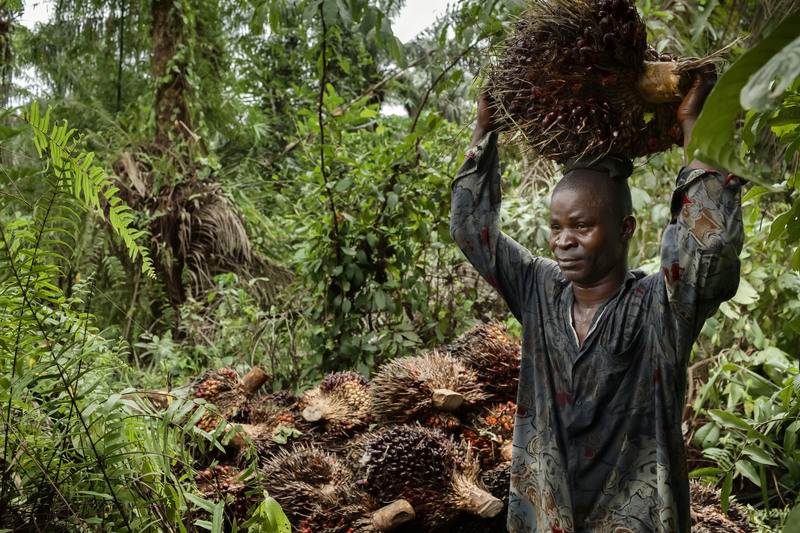 Sime Darby has vowed not to cut primary forests in Liberia, but studies have shown that even in heavily degraded stands, the carbon-sequestering biomass cleared to make way for palm plantations exceeds that of the trees that eventually replace them. And it’s no secret that the industry has had a devastating impact on Southeast Asia, where the plantations have already destroyed native habitats of orangutans and endangered Sumatran tigers and rhinos. In one region, 60 percent of the bird species have disappeared. Land grabbing is nothing new to Liberia. In 1926, the American rubber baron Harvey Firestone signed a 99-year lease with the then-government to grow the commodity on a million acres, or four percent of the nation’s land. His rent was five cents an acre. (In 2008, Johnson Sirleaf extended the contract to 2041 and raised the rate to $2 an acre.) Early on a Sunday morning, we make the one-hour drive down to Harbel, home to what’s now called the Bridgestone/Firestone plantation, and spend a few hours exploring its 240 square miles of shimmering trees. The place is massive, home to its own schools, clinics, churches, and bus service. And it looks pretty much the way it must have back in Harvey’s day: Most of the housing dates to the 1930s, and even the newest blocks—built in response to repeated accusations from the international human rights community—are without electricity or indoor plumbing. The company’s 7,000 employees earn a little over $3 a day; for the men, the work involves removing the white fluid that drips from the trees and then carrying 140 pounds of the latex to weigh stations up to three miles away. In the distance, we can see a group of laborers streaming down a thin path lined on either side by tall wire fencing. There are manned checkpoints throughout the concession. It’s hard to be here and not think of a prison. We park the 4×4 near a settlement of one-room houses patched together with scraps of metal and wood. Opening the doors, we’re assaulted by a stench that is one part sweet latex, one part sewage. The ground is red dust, and there’s no farming happening anywhere in sight. We’ve been chatting with a few locals for about ten minutes when a car pulls up and a security guy gets out, slamming the door behind him. Someone’s apparently ratted us out. “We are not stopping you,” the gentleman tell us, enunciating carefully, “but you need to get permission. This is a private American concession.” He requests that we contact an officer from the locally despised PPD (Plant Protection Department), then checks our IDs and snaps some headshots with his smart phone. We recover from the incident in the management-only “staff club,” set at the top of a hill off the main drag, and where you can enjoy tiered club sandwiches and cold Heinekens while watching white guys in shorts cruise the green in their golf carts below. I’m frankly scandalized by the squalor and paternalism I see on display at Firestone—especially in light of the fact that that the company’s latex and dry rubber get shipped out exactly as is, no value-added, no benefit returned to the community—but Harinen and Dagenhart assure me their operations won’t be anything like that. I want to believe them, but reading the fine print of the concession agreements, it’s hard not to have my doubts. GVL currently employs some 2,700 Liberians, and Sime Darby, the country’s largest employer, 3,700. That sounds like a lot of people, but it certainly doesn’t come close to the number who’ve been subsisting for generations on the resources of the concessions’ combined 1.5 million acres. “Many NGOs are saying we should hire everybody in the community,” Sime Darby’s Dagenhart says. “But that’s just not possible. We are not a charity.” (The company says it will eventually hire some 30,000 Liberians.) Both contracts provide for healthcare and education through high school, but that’s only for employees and their immediate dependants; thousands of other locals will presumably be left to fend for themselves. Harinen says the GVL business plan calls for the eventual construction of 15 mills and the option of developing a refinery, and Dagenhart assures me that Sime Darby will build a refinery as soon as it reaches 100,000 hectares (247,000 acres) of plantings. But the companies have up to 10 years to conduct even a viability assessment. Both are committed to employing only Liberians for unskilled positions and to setting targets for a proportion of management positions, yet there are no safeguards in place to ensure that jobs go to people whose lands have been lost. In Grand Cape Mount, there are already complaints that the permanent employees tend to be “outsiders” and that the locals get mostly day work. Certainly there are shades of Firestone when it comes to the relative autonomy of the concessions. “You don’t have any person from the government looking over it,” attorney Brownell says of Sime Darby. “It’s a free for all. A state within a state.” (“As bad as Sime Darby is,” Mupta remarks as we drive around GVL, “this place is worse. Cause it’s so far away, nobody knows what’s happening. It’s all in the dark.”) Dagenhart doesn’t deny that the company is largely left to its own devices. “Whenever an investor is doing business in a country which has been traumatized to such a degree as Liberia, of course, in many respects, we will be a little bit on our own.” The company was prepared “to take over some of the government functions,” he says. “That’s part of the whole deal.” He’s happy to talk about the 35 hand pumps they’ve installed, the 16 schools they plan to build, the buses and ambulance they will provide. As much as the communities blame the corporations behind the concessions for their current plight, they fault the government even more. 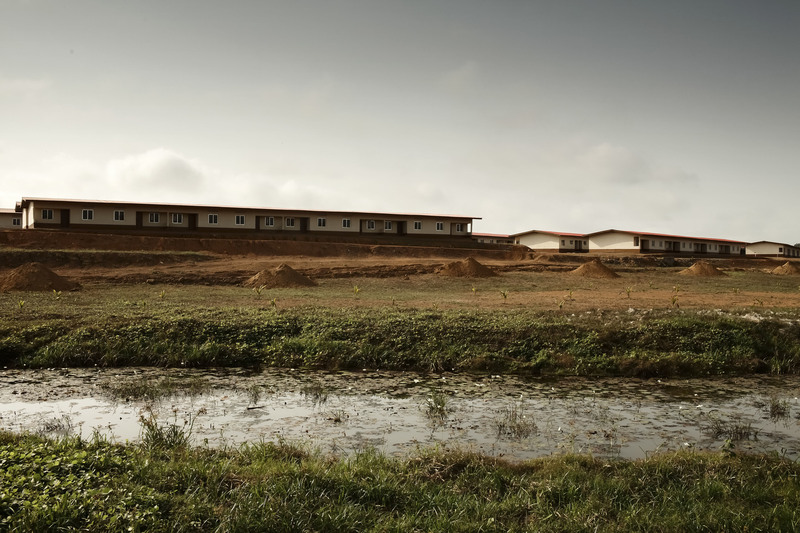 Like most of the large-scale land acquisitions happening in Africa and elsewhere, the deal-making in Liberia has gone down mostly behind the scenes. 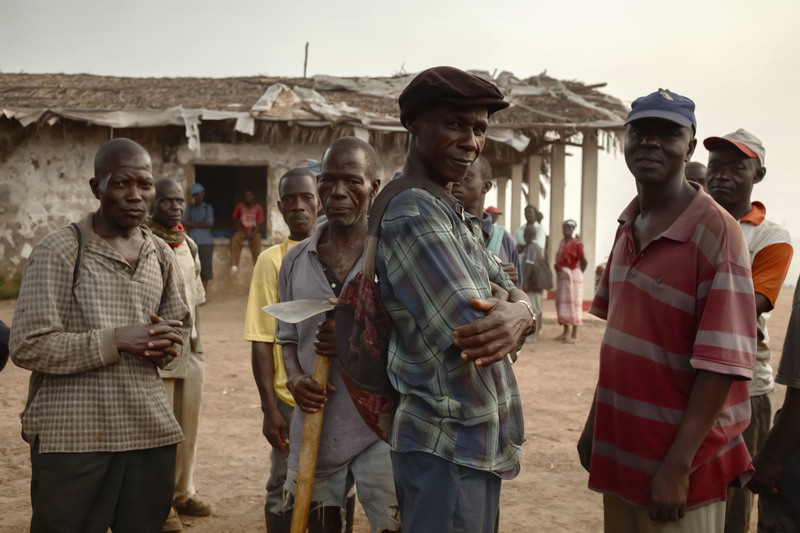 And though customary land rights may be inadequately protected by Liberian law—the constitution has changed repeatedly on the subject, and even the Minister of the Interior is unable to tell me exactly where it now stands—traditional landholders do have protection under various international covenants. In signing the oil palm agreements, President Johnson Sirleaf violated numerous legally binding human rights commitments. She also neglected to ensure that provisions were in place to guarantee that participatory Environmental and Social Impact Assessments were carried out. That may be so, but Johnson Sirleaf is inspiring less confidence by the day. She’s been repeatedly criticized for appointing three of her four sons to prominent positions in the national government—one is a key political advisor and president of the National Oil Company; another, head of the National Security Agency; and a third, deputy governor of the Central Bank—and last October, Leymah Gbowee, Johnson Sirleaf’s co-laureate for the 2011 Nobel Peace Prize, publicly called the President out for nepotism and for failing to fight graft. Gbowee also stepped down as head of Liberia’s reconciliation commission. This February, civil society groups in the country protested a bogus cabinet reshuffle, saying the President had failed to throw out ministers who’d come under fire for alleged corruption and poor performance. And you do have to wonder about the company she keeps. 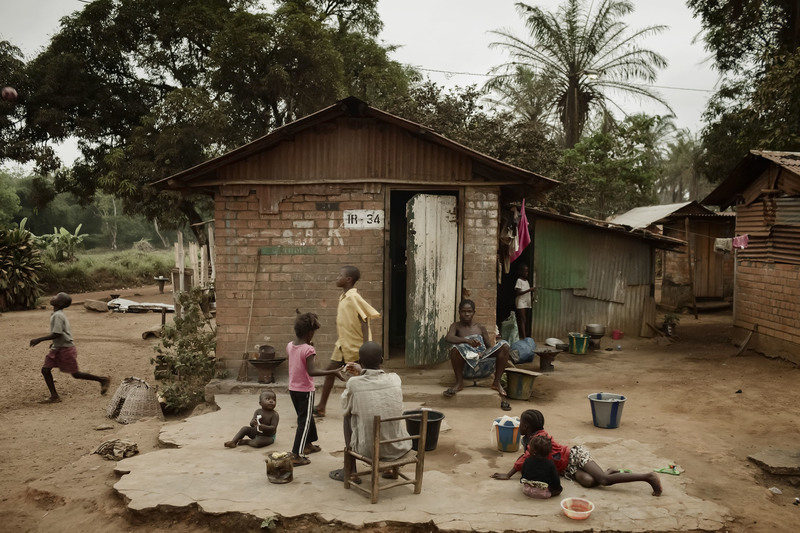 Arriving in Greenville, the center of Sinoe County, after that eight-hour drive from Monrovia, we found a “city” that was a total mess. 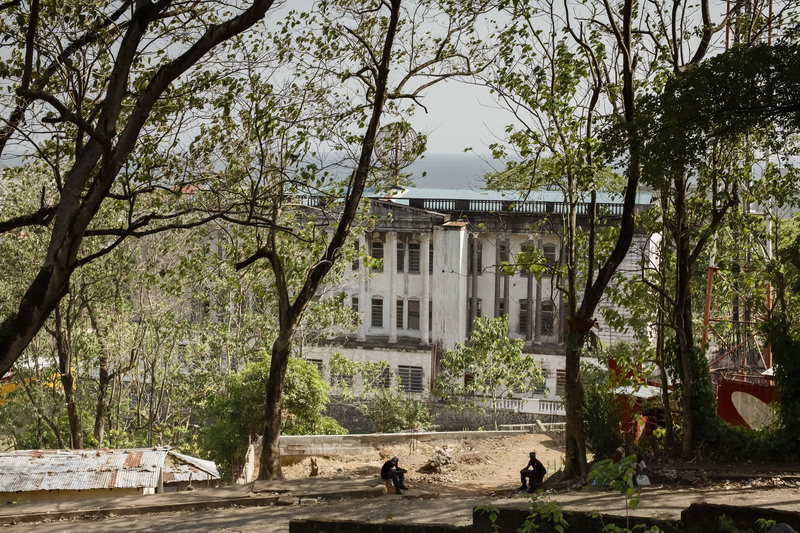 We’d been circling the blocks of crumbling buildings—the region was among the hardest-hit by the conflict—when I spotted a particularly nice-looking place on a spacious corner lot. I suggested that we might inquire about checking in there, but Krakue and Mupta just cracked up, explaining that the house belonged to Milton Teajay, the county’s superintendent. Like the heads of the other 14 counties in Liberia, Teajay, who previously served under Charles Taylor, was handpicked by Johnson Sirleaf. We didn’t ask him to put us up for the night, but the superintendent did grant me an interview, which we conducted the following evening on his back patio, over the din of a generator. He wore a white track suit and two chunky gold rings, and he told me with a straight face that any problems I’d heard about in regard to the GVL concession were all the fault of Alfred Brownell. “I know about five persons who have been agitating, and who have been propping up people in rebellion against GVL,” he said. He was apparently unaware of the independent report that had confirmed the community’s complaints. “Our superintendent is not doing nothing,” William Smart told me in what used to be Klah’s Town. “He is also living in GVL’s pocket.” (And from the you-can’t-make-this-up department: In a city where most everything appears a washed-out gray, Teajay decided to paint his fancy home bright yellow with green trim; it looks like it’s been airlifted in from the GVL concession.) Heading back out of town at six thirty the next morning, we attempted to make a left-hand turn in front of Teajay’s place but were surprised to be met by a cop standing in the road; his job was apparently to keep any cars from disturbing the man’s sleep. “He’s not the king,” muttered Mupta as he angrily shifted into reverse. Whether she’s done anything in her role as the villagers’ lawyer I can’t say, but I can vouch for the fact that Ellen Johnson Sirleaf has not cleaned up the pollution. We convinced two teenaged boys to take us to the site, a five-minute drive from the clearing of huts. Even from a distance, the chemical stench was unbearable. The “water” was more like a charcoal-colored sludge. “We still fish here sometimes,” said one of the kids, pulling his shirt down from where he’d been using it to shield his nose. “But it’s absolutely black. Some people are eating it,” he added with a shrug. 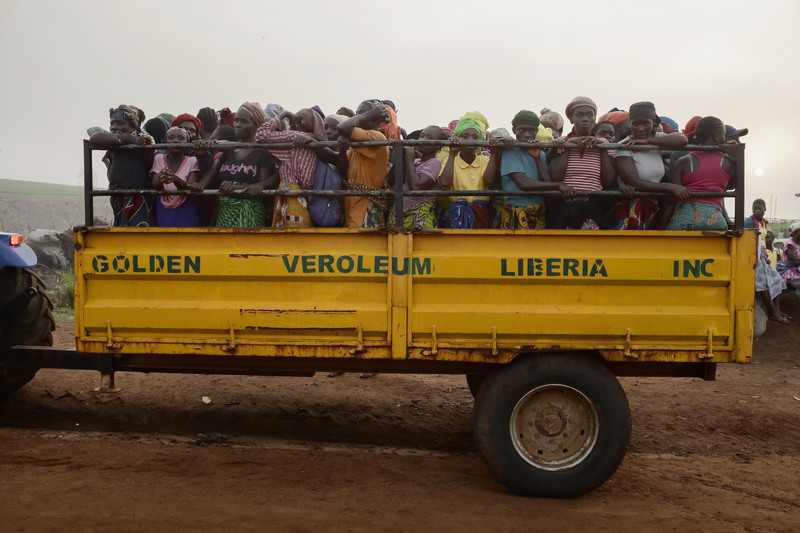 “We have no food.” We visitors had headaches all the whole way back to Monrovia. It’s all deeply troubling, especially given the country’s bloody history and the role that its natural resources have played in fueling the violence. 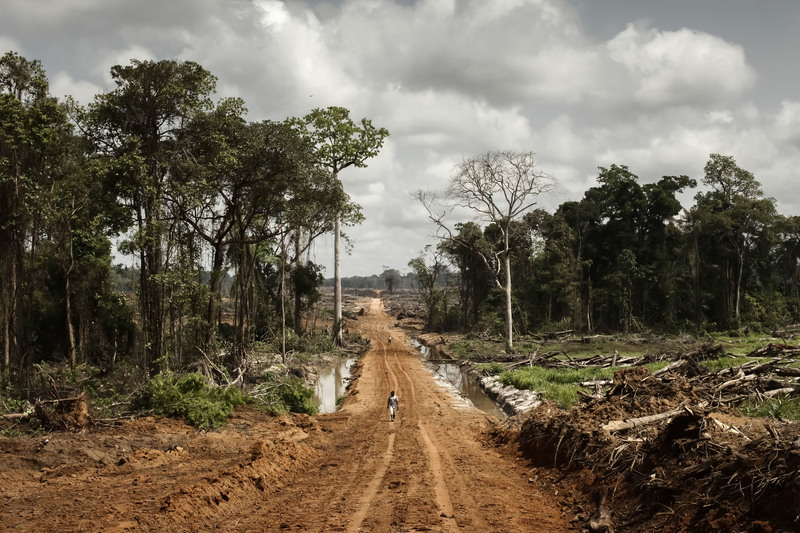 The unforgettable Charles Taylor relied on Liberia’s timber to fund his war, which killed 150,000 people, selling logging rights in the areas he controlled in return for money to buy arms. Once in power, he tapped his brother to head up the Forestry Development Authority. Krakue and Mupta’s boss, Sustainable Institute founder Silas Kpanan’Ayoung Siakor, teamed up with the London-based Global Witness to document Taylor’s exploits with “logs of war,” ultimately helping to bring the leader down. In 2006, Siakor was awarded the Goldman Environmental Prize for his efforts. More effective might be the voice of the consumer. In recent years, companies like KFC and Cadbury have replaced the palm oil in their products for the Australian market in response to outcry over the environmental ills the commodity has wrought on Indonesia. And last April, Unilever—now the single biggest buyer of palm oil in the world—pledged to purchase all of its oil from traceable, sustainable sources by 2020. Opposition also is growing to the land acquisitions themselves. In February, Nashville’s Vanderbilt University announced that it had withdrawn a $26 million investment from EMVest (formerly Emergent Asset Management), an agricultural corporation with farms in five sub-Saharan countries, after students protested that it was taking over property used by local communities through exploitative practices. Others are calling on investors to find out exactly where their money is going and what sorts of human and environmental tolls it might take. According to the World Bank, Africa is home to half of the world’s fertile yet “unused” land. In the wake of the food crises in 2008, land-poor countries, private investors and multinational corporations have been buying up huge swathes of that land from governments eager for foreign investment. In many cases the deals are done secretly and without the knowledge of the local populations that will be affected. People have been moved from their ancestral lands and their food and water supplies have been threatened and in many cases destroyed. 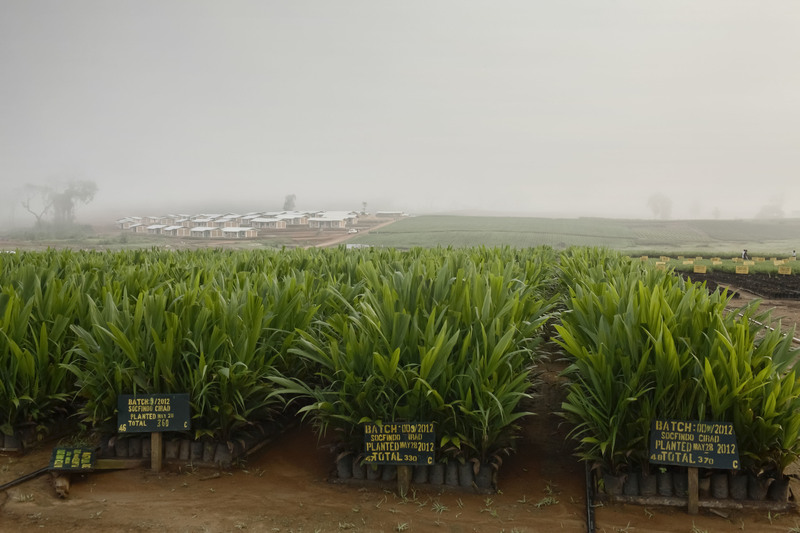 Much of the land is being used for industrial agriculture, focusing on palm oil, jatropha, and other crops for export to be used as food or in industrial products or biofuels. 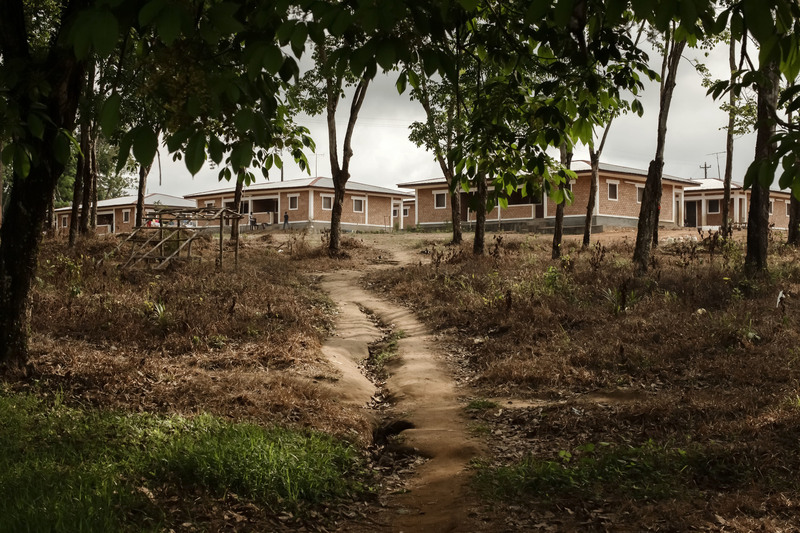 Oxfam International reports that in Liberia more than 30 percent of the land has been signed over to large-scale concessions in the past five years. At palm oil concessions run by Malaysia-based Sime Darby and Indonesia-based Golden Veroleum, workers spoke about jobs that were grueling and low-paying and inadequate safety and health conditions. The Bridgestone/Firestone rubber plantation, in Harbel, about an hour’s drive from Monrovia, was established in 1926 by American rubber baron Harvey Firestone. His deal with the Liberian government gave Firestone 4 percent of Liberia’s land for 99 years. (At an annual rent of five cents an acre.) During the civil war, the plantation was largely abandoned to squatters, militias, and charcoal burners, but it is now in operation again. In 2008, the Sirleaf government extended Firestone’s contract to 2041 but reduced its size to 120,000 acres and raised the rent to $2 an acre. Most of the company’s 7,000 employees earn a little over $3 a day. Some of the housing dates to the 1920s, and even the newest buildings lack indoor plumbing and electricity. The company has admitted to dumping waste from its processing plant into the Farmington river, and has repeatedly been accused of inhumane practices, human rights violations, and environmental abuses. The plantation has a “Staff Club” which is a golf course with a restaurant and club house where the managers of the plantation and UN diplomats from Monrovia can enjoy their time off. The Malaysia-based Sime Darby entered into a 63-year lease agreement with the government of Liberia in July, 2009. The total area of the concession is 311,187 hectares, and it is to be located within four counties: Grand Cape Mount, Bomi, Bong, and Gbarpolu. 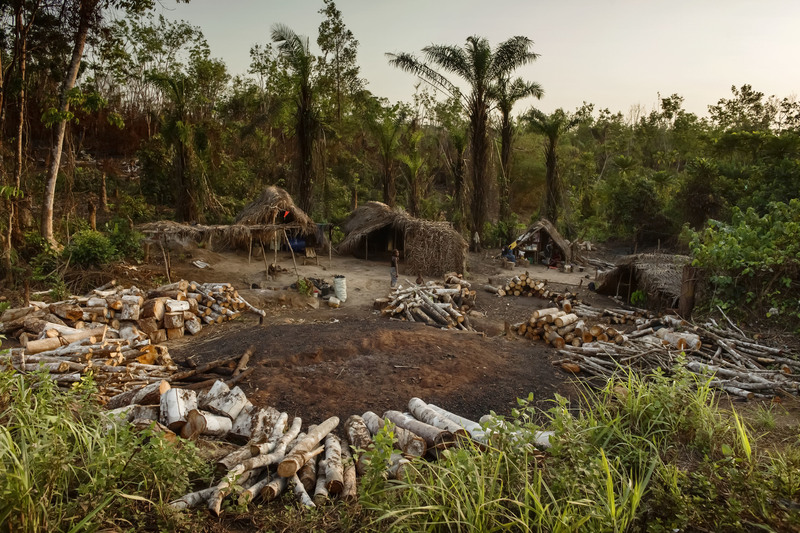 In 2011, communities from the Garwula district in Grand Cape Mount County filed a complaint with the Roundtable on Sustainable Palm Oil (RSPO), alleging various rights abuses, including the fact that they had been denied Free Prior Informed Consent to development on their ancestral land. Workers on the plantation spoke of inadequate health conditions, low pay, and long hours. And the community said their farms had been plowed under, as had their burial grounds and sacred places. They said their water supply has been polluted by the chemicals used by the company in its plantations. In 2010, the Indonesia-based Golden Veroleum signed a 65-year contract for 350,000 hectares in Sinoe County. The company has cleared hectares and hectares of native flora and planted palm in its place. 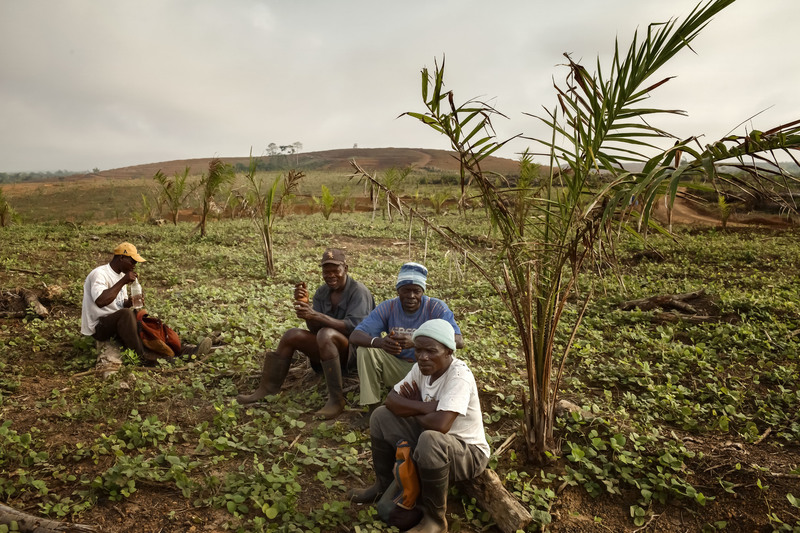 People in the community say it has destroyed their farmland and ancestral burial grounds, and workers complained that the pay was low and the working conditions difficult. Bridgestone/Firestone rubber plantation workers brand new houses are seen on the plantation. Sime Darby workers are seen as they get brought by tracks to work at the Sime Darby Palm Oil Plantation. Wood coming from the deforestation caused by the establishment of the Sime Darby Plantation is seen ready to be cut and sold. 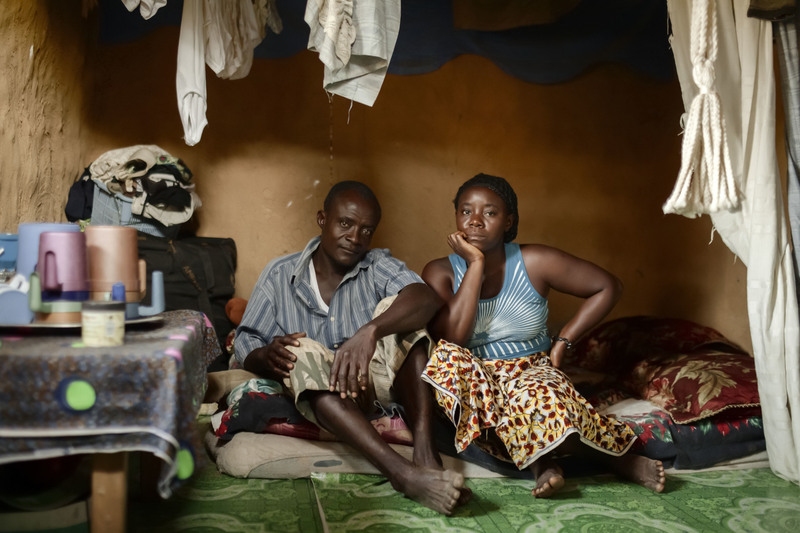 Emmanuel Jangebah, 50-years-old is seen with his wife Telmah in their house in the village of Totoquelle in Gparbolu County. Emmanuel said of Sime Darby: “If they want to hijack the land from the people, they will get into another problem here.” In Totoquelle Sime Darby is targeting 20,000 hectares of land to cultivate and plant oil palm. The company has not started clearance or nursery preparation yet, and most of the community is opposed to it. 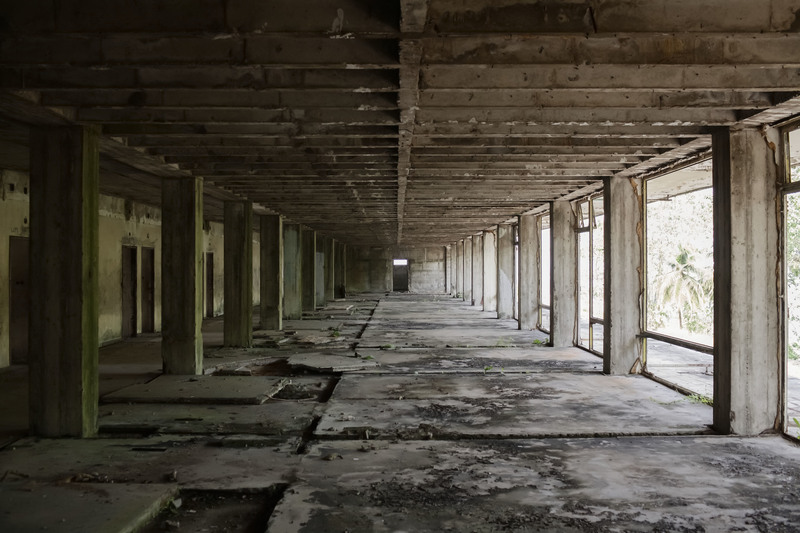 A general view of the interior of the Ducor Palace Hotel is seen in Monrovia. Once a luxury hotel, with 300 rooms, a pool, tennis courts, and a French restaurant, the Ducor Palace Hotel, in Monrovia, was closed in 1989, just before the coup led by Charles Taylor. During the country’s civil war, the hotel was looted and occupied by displaced people. Today it is a concrete shell. Bats fly during day time over the market in Monrovia. The building hosting the headquarters of the Liberian chapter of the Masonic Order is seen in Monrovia. For most of Liberia’s early history, nearly all influential politicians and members of settler society were Masons. After Samuel Doe took power in 1980, he outlawed the Masons and they went underground during his administration and for much of the war years. The building is back in use now and hosts large gatherings of Liberian Masons; it is common to see the logo on cufflinks or bumper stickers around town. Liberians carry sand bags collected at the Sime Darby palm tree Plantation in Grand Cape Mounty County. The deforestation to establish the palm tree plantation has caused soil erosion transforming pockets of soil in sand that then get collected by locals villagers to be used in the construction industry. Sime Darby workers are seen at the collecting point before their shift as they get brought by tracks to work at the Sime Darby Palm Oil Plantation in Grand Cape Mounty County. Zinah Momo, 61-years-old, a Sime Darby worker is seen on duty at the Palm Oil Plantation as she irrigate each palm tree one by one with water buckets in Grand Cape Mounty County. 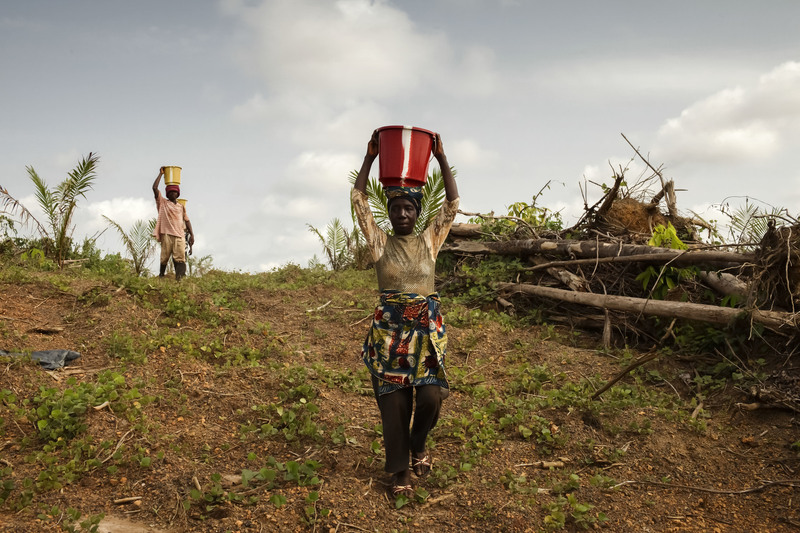 Zinah works six days a week and she carries some 300 buckets a day. She said that the company has polluted her village’s water supply, and she has to walk to the next village to get water, and that is even gray. Sime Darby Palm Oil Plantation brand new houses for workers are seen in Grand Cape Mounty County. The houses just recently finished and new are empty since a while as there is a fighting going on between the company and the workers regarding how many families should be hosted in each house. Sime Darby workers are seen as they eat some food at the collecting point before their shift as they get brought by tracks to work at the Sime Darby Palm Oil Plantation in Grand Cape Mounty County. A local villager carries palm fruits in the surroundings of a village affected by the Golden Veroleum Palm Oil Plantation in Sinoe County. 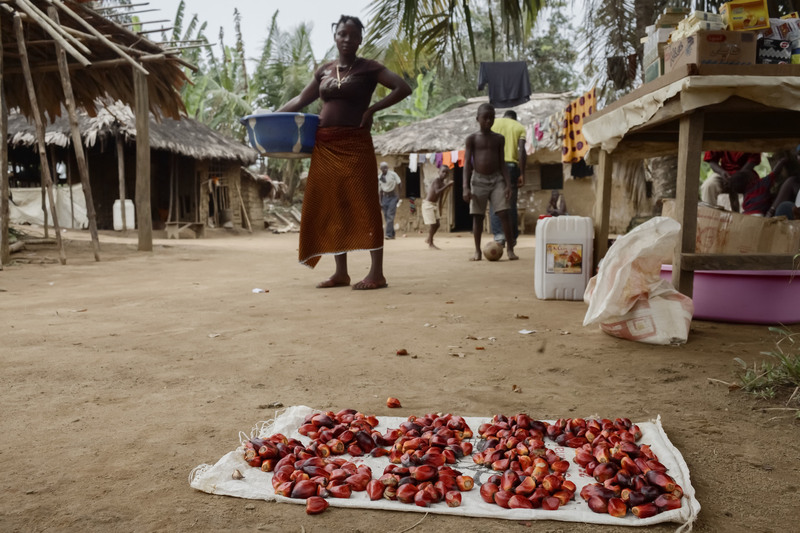 Palm fruits are seen in a village affected by the Golden Veroleum Palm Oil Plantation in Sinoe County. Bridgestone/Firestone rubber plantation workers are seen living in their shanty houses on the plantation. Golden Veroleum baby palm oil are seen at the nursery at the Palm Oil Plantation in Sinoe County. 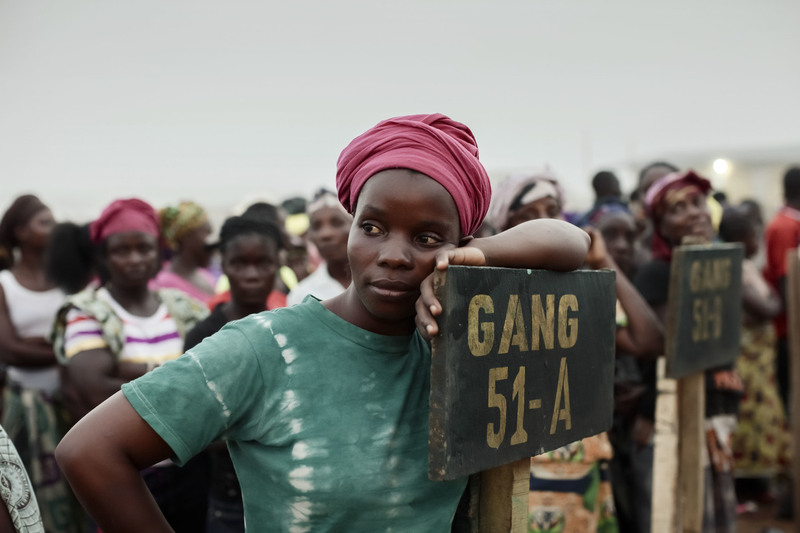 Golden Veroleum workers are seen at the collecting point before their shift as they get brought by tracks to work at the Palm Oil Plantation in Sinoe County. Land that has been deforested by the Golden Veroleum and that will became a palm oil plantation is seen in Sinoe County. Sime Darby workers are seen on duty as they wait for the water to arrive to irrigate the palm trees one by one with a bucket at the Palm Oil Plantation in Grand Cape Mounty County. 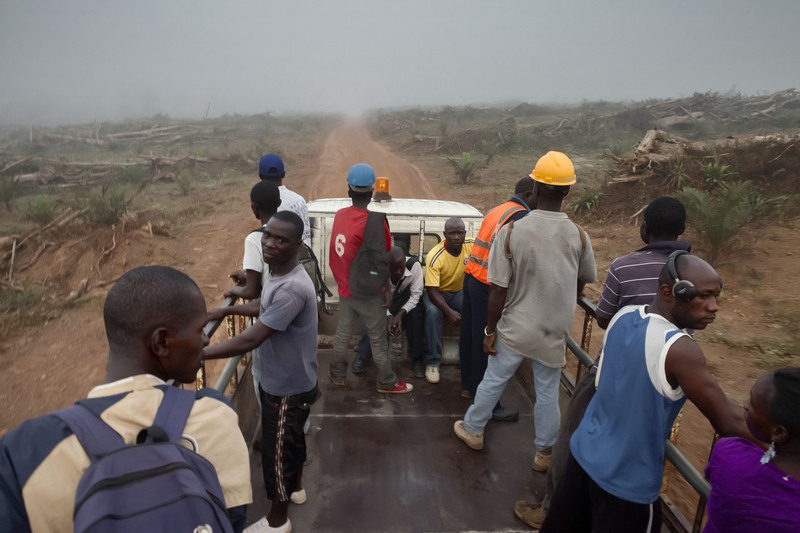 Golden Veroleum workers are seen as they get brought by tracks to work at the Palm Oil Plantation in Sinoe County. 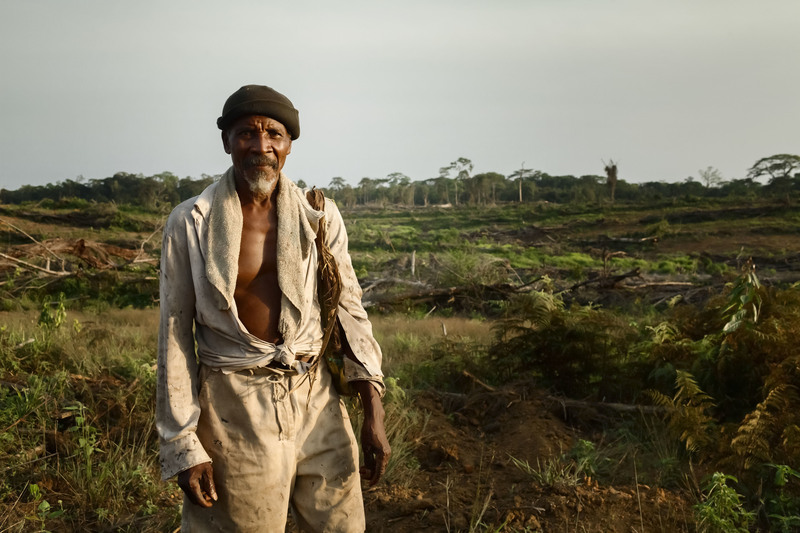 James Gibsin is seen in the foreground of the land where his village was and that it is now in the middle of the Golden Veroleum concession for the Palm Oil Plantation in Sinoe County. James’s village once made of more than twenty huts it is now only made of two huts, the one where he lives and another one belonging to his neighbors and he has no intention to leave.